Several firms in the Southern Alberta business community are now offering discounts to PMI-SAC members. Please consider becoming a customer of these businesses and reaping additional benefits of your Chapter membership! FINALLY, AN AFFORDABLE LIABILITY INSURANCE SOLUTION FOR PROJECT MANAGERS! PMISAC has partnered with LMS PROLINK and ENCON Group Inc. to provide Professional Liability Insurance exclusively for members of PMISAC. For over 30 years LMS PROLINK has been a 100% Canadian owned Independent Insurance Brokerage. A major challenge confronting IT and Management/Project Management consultants is the issue of obtaining and maintaining appropriate liability coverage. PMISAC members now have the ability to secure comprehensive coverage as well as access to rates that are often much less than traditional markets. The majority of PMISAC IT and Management/Project Management consultants can apply, pay, and obtain their proof of Insurance for Professional Liability AND Commercial General Liability online in less than 5 minutes! Premiums for Both coverage as low as $815 per year! To learn more about this program exclusively for PMISAC members , please visit http://www.lms.ca/pmisac/ or contact: pmisac@lms.ca 1-800-663-6828 ext. 7735. No one knows the insurance needs of an Alberta Project Manager more than an Alberta Insurance Broker. As a partner with PMI-SAC for over 10 years, HDF Insurance knows your risks and can reduce your costs! HDF Insurance provides members with a full insurance program including Professional Liability (E&O), Commercial General Liability(CGL), Income Replacement(Disability) as well as Home & Auto and Health & Dental. Why deal with an insurance company from another province when you can team with a local insurance brokerage that has grown alongside PMI-SAC. At HDF Insurance, we work for our clients and we will work for you. PMI-SAC has teamed up with Michael Grainger, Financial Consultant & Mark DeJong, Division Director with Investors Group Financial Services Inc. to provide members with Specialized Financial Planning for Project Managers. PMI members that meet with Michael or Mark for a complete financial evaluation will be reimbursed their PMI-SAC membership fees for one year (value $30). 5818 – 1A Street S.W. 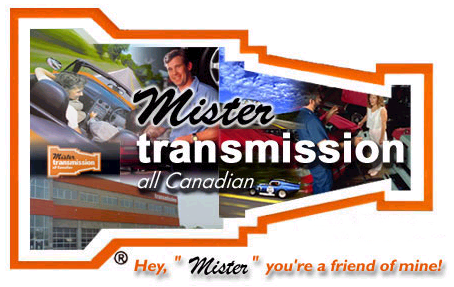 Mister Transmission is pleased to announce that ‘PMI’ membership, associates and their families are eligible for wholesale pricing! This means an ‘Employee Discount’ of 15% (parts&labor). We welcome your vehicle for a Free Road Test and Multi-Check. We will be happy to assist you with a Free ‘guaranteed’ Quotation to help you determine fair prices and labor times. CRA has shifted their focus to Independent Contractors operating as Personal Services Businesses or “PSB”). This represents a serious risk for those contractors operating through their own corporation and working for only 1 or 2 simultaneous clients. Please see http://www.cra-arc.gc.ca/E/pub/tg/rc4110/rc4110-13e.pdf to determine if you are operating as a PSB and therefore could be subject to CRA re-assessment and fines. C2 offers contractors a safe and affordable alternative to operating in this PSB environment. Advantages of working through C2 Employment Services include income splitting, tax deferral on investment capital, and maintaining a wider range of business deductions. Other member benefits include coverage under our medical and insurance plans, complimentary financial and business education, and administration and bookkeeping support. Learn more at www.c2es.com, or all us at 403-453-0966 to see how we can benefit you. WinDecor Window Coverings – Blinds and More is pleased to announce that ‘PMI’ membership, associates and their families are eligible for special discount pricing! PMI-SAC Members will get an extra 10% off to 15% off their blinds and shades purchase. If you are moving to a new home or doing a home renovation, the biggest win is finding the right people for the job. As your time is valuable, my goal is to enrich you with beautiful options for blinds, shades, shutters and drapes with the least amount of fluff. We meet at yourhome and you get to see and select different options in your home environment. During our complimentary In-Home consultation, we bring lots of samples to assist you in selection of window coverings. My job is to help you pull your décor together with wall colors and other furnishings in the room. You get to see all the current day and modern choices for window coverings. We do the perfect-fit measurement and provide you with an exclusive member estimate. One of our certified installers will do the professional installation at your location. All the options from us come with Limited Lifetime Warranty. Please read our reviews at Google+ page. Please call or email Rahul at WinDecor or you can set up an appointment through our website.